Smooth-On's Brush-On® Series of mold rubbers are extremely versatile and are famous for their abrasion resistance and high tear strength. They have the convenience of a one-to-one mix ratio and are easy to mix and apply with a brush or spatula. Brush-On® polyurethane rubber paints onto vertical surfaces without sagging and will cure with negligible shrinkage to durable rubbers that perform and last in production. Each will capture exact detail from any original model. 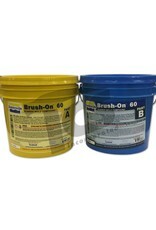 Brush-On® 40 is used for models with deep undercuts. Brush-On® 40 can be used to make glove molds. 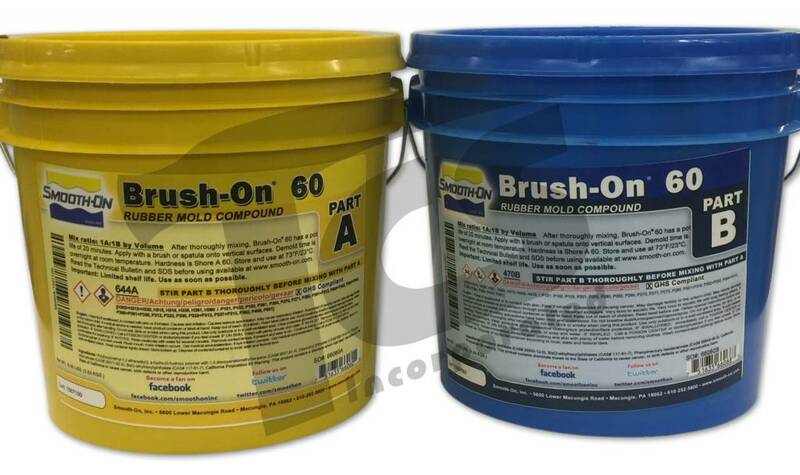 Brush-On® 50 and Brush-On® 60 possess superior abrasion resistance and tear strength and are ideal for casting concrete and hard plasters in applications where less flexibility is required. All three rubbers are suitable for reproducing sculpture, architectural restoration and production casting of concrete. All versions are 1:1 mix by volume.